Climate change deniers are not skeptics. If You Don’t Accept That Climate Change Is Real, You’re Not a Skeptic. You’re a Denier. 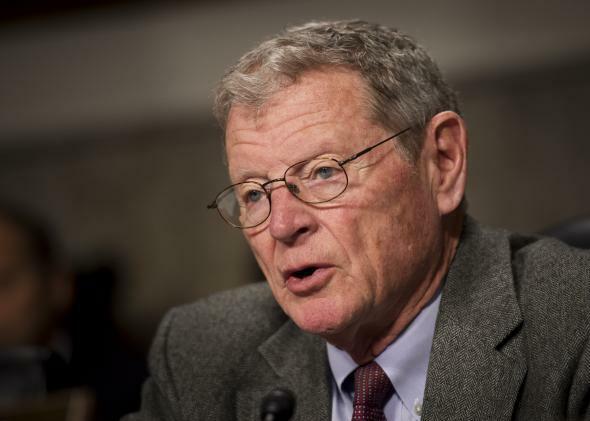 Sen. James Inhofe, R-Okla., is not a climate change skeptic. He is a climate change denier. A few months ago, I appeared on a Q&A, a popular Australian television news program with a prominent Australian politician and a well-known Australian journalist. Both flatly denied that climate change was human-induced. Both referred to themselves as skeptics. This label successfully undermines the heart of what skepticism is all about, however, and it is unfortunate that journalists often don’t get the subtle bait-and-switch that is being performed here. For example, to take a U.S. example, in a Nov. 10, 2014, New York Times article “Republicans Vow to Fight EPA and Approve Keystone Pipeline” Sen. James Inhofe was referred as “a prominent skeptic of climate change.” Two days later Scott Horsley of NPR’s Morning Edition called him “one of the leading climate change deniers in Congress.” These are not equivalent statements. Skepticism is all about critical examination, evidence-based scientific inquiry, and the use of reason in examining controversial claims. Those who flatly deny the results of climate science do not partake in any of the above. They base their conclusions on a priori convictions. Theirs is an ideological conviction—the opposite of skepticism. This confusion is at the heart of political efforts to undermine climate science. It’s sufficiently disturbing that a group of fellows of the Committee for Skeptical Inquiry—including well-known scholars and public figures like Dan Dennett, Bill Nye, Sir Harold Kroto, Kenneth Miller, and me—have drafted an open letter to the media urging them to consider carefully the language they use when discussing climate change issues. Our letter was precipitated by the New York Times description of Inhofe. This confusion of terms is not new, and various individuals (for instance, Slate’s Phil Plait) have made the point before that “denier” is the better label in these circumstances. But we felt that when someone like Inhofe, who has so clearly denied or ignored the major scientific analyses of human induced climate change and its consequences, was so inappropriately described by a publication like the New York Times, it was necessary for a broad-based group in the scientific community to speak up. The effort to stop effective action to curb climate change has been successful in part because it has focused on public relations rather than content. By confusing skepticism with ideological intransigence, journalists play into the hands of those who plan and implement these large-scale disinformation campaigns. As you might expect, the response was silence. If those who decry the claims of climate scientists cannot provide some sound empirical basis for their critiques of these claims and the data and models they are based on, then their denialism should be treated on the same footing as those who deny the results of evolutionary biology simply because they do not want to accept evolution. To put climate deniers on the same footing as scientists, for whom skepticism is a central facet of their life work, is to do a great disservice to science, knowledge, and progress.